Rochester Boulevard was the main highway into Cannon Falls until being bypassed by the modern four-lane expressway in 1966. It was originally added to the trunk highway system in 1921 as part of State Highway 50, which also became the route of US Highway 55 in 1926. The road was regraded in 1927, and concrete paved in 1928. 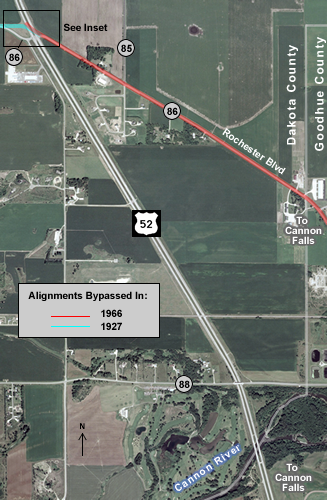 US Highway 52 replaced both Highway 50 and US 55 between Cannon Falls and Hampton in 1934. 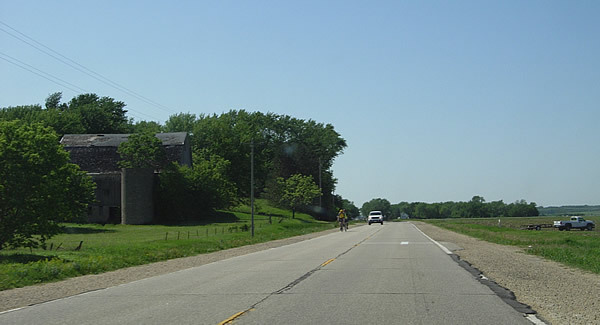 US 52 continued to use the two-lane concrete highway between Cannon Falls and Hampton until 1963, when US 52 was upgraded to four lanes as far south as the modern junction with County Road 86. A temporary connection was constructed between Rochester Boulevard and the new northbound lane (the old highway was used as the southbound lane, see the aerial photo below). 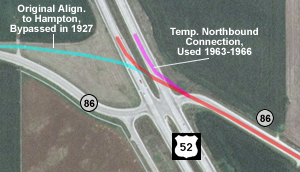 The construction of the Cannon Falls bypass in 1966 brought the junction with County Road 86 to its modern configuration. Since being bypassed, Rochester Boulevard has changed very little. 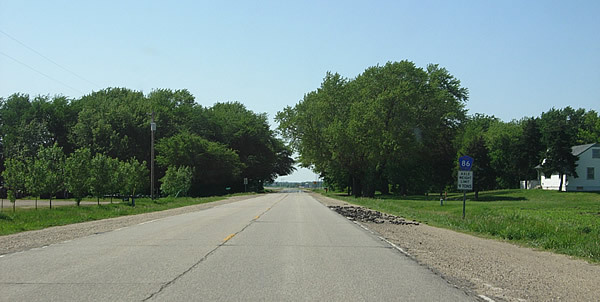 The road appears to still use the old 1927 grade, although the original concrete pavement has been covered with an asphalt surface. 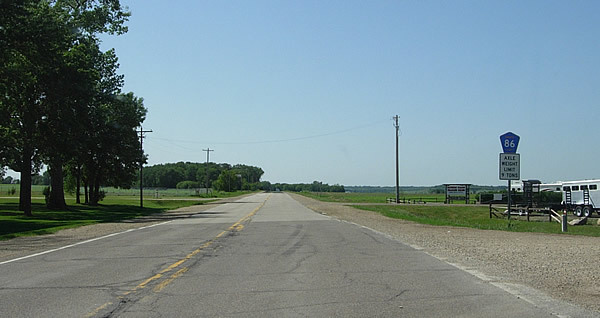 Just east of the junction with US 52. At the Dakota County line. 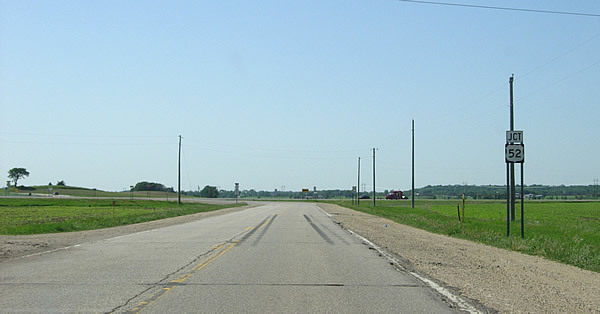 At the junction with modern US 52.